It will take place the weekend of November 23 and 24, 10am-5pm both days, in my studio. Space is limited, so please sign up soon. 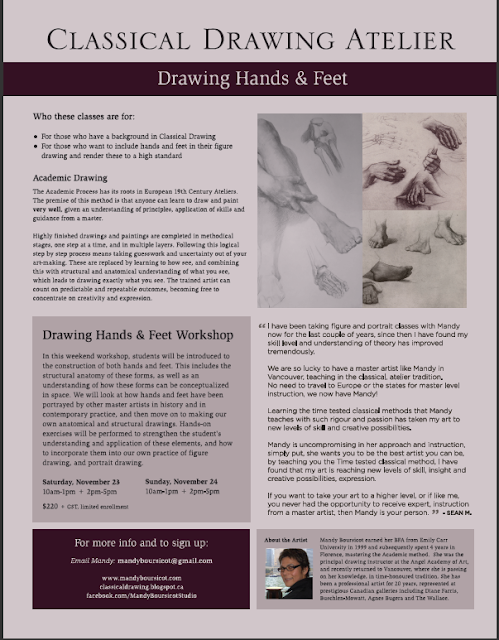 In this weekend workshop, students will be introduced to the construction of both hands and feet. This includes the structural anatomy of these forms, as well as an understanding of how these forms can be conceptualized in space. We will look at how hands and feet have been portrayed by other master artists in history and in contemporary practice, and then move on to making our own anatomical and structural drawings. 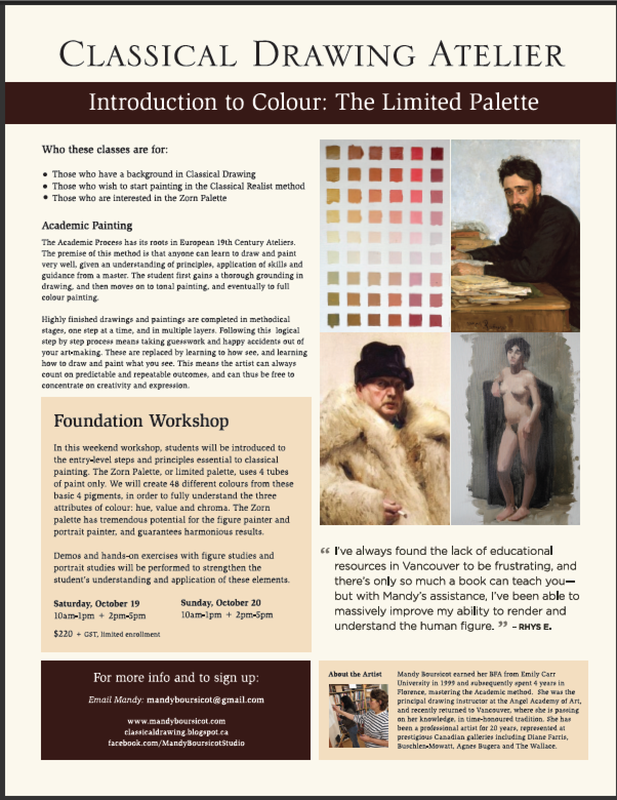 Hands-on exercises will be performed to strengthen the student’s understanding and application of these elements, and how to incorporate them into our own practice of figure drawing, and portrait drawing. Some folks wanted this on the blog, so here it is. The workshop filled right up, before I had a chance to advertise it publicly. If you’re interested, but aren’t on the list, please email me, and I’ll see if there is seating room for you to come watch.